More than half of prospective elementary school teachers fail a licensure exam used in 23 states for those applying to join the profession, with black and Hispanic applicants far less likely to pass. The nation’s most-used licensure test, the Praxis Elementary Education: Multiple Subjects, has a first-time pass rate of 46 percent, according to new data released Wednesday in a report by the National Council on Teacher Quality (NCTQ), a think tank that advocates for higher teacher preparation standards. More than a quarter of applicants fail the test after multiple attempts. Aspiring teachers of color are disproportionately less likely to pass the exam, researchers found, though they’re also less likely to pay to take the test more than once. While 75 percent of white applicants score a passing grade, just 57 percent of Hispanic and 38 percent of black applicants are successful. Failure on the licensure exam, NCTQ argues, contributes to a racial imbalance within the teaching profession. While children of color make up the majority of public K-12 students, about 80 percent of teachers are white. Researchers note several other factors that likely contribute to the racial imbalance in licensure pass rates, such as inequity in K-12 schools. The report comes amid a national effort to diversify the teaching profession, including calls to eliminate licensure tests outright. Meanwhile, a growing body of research suggests that students of color benefit from teachers who share their race or ethnicity. NCTQ, however, argues that most education preparation programs leave prospective teachers unprepared to take the tests and work in elementary school classrooms. The new report builds off NCTQ’s previous work. Relying on undergraduate course requirements at 817 institutions, NCTQ found that just 3 percent of programs required courses that ensure that candidates have foundational knowledge in science. Meanwhile, 27 percent of programs required sufficient coursework in elementary mathematics and 59 percent of programs had aligned courses in history, according to the report. Walsh said NCTQ has been trying to get its hands on licensure exam pass rates from companies that produce the tests for more than a decade. The Educational Testing Service (ETS) administers the Praxis Elementary Education: Multiple Subjects exam, which requires candidates to pass subtests in reading/language arts, mathematics, science, and social studies. In the past, NCTQ has been criticized for the methodology it uses to review teacher preparation programs. By relying on course documents like syllabi, some scholars argue, NCTQ’s findings fail to capture the quality of instruction prospective teachers receive or evidence on learning outcomes. While NCTQ says it bases its criteria on scientific research and best practices, other critics have noted there’s no consensus among researchers on the most effective way to structure a teacher-training program. 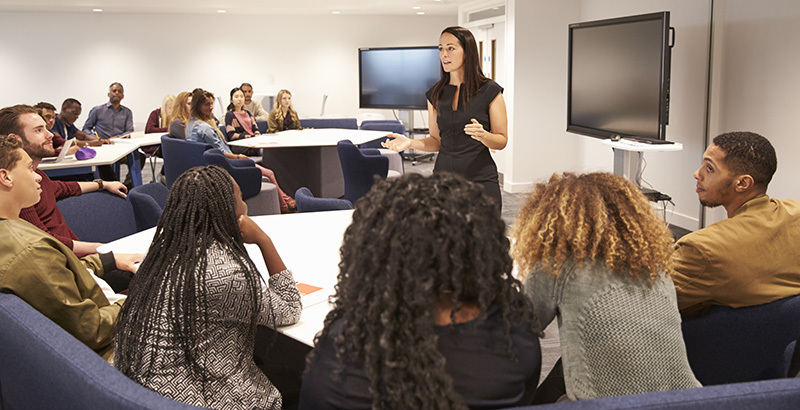 A body of research has found that teacher quality influences student achievement, as well as a modest link between licensure exam scores and an educator’s effectiveness. Disclosure: The Eli and Edythe Broad Foundation, the Bill & Melinda Gates Foundation, Carnegie Corporation of New York, the Doris & Donald Fisher Fund, the William E. Simon Foundation, and the Walton Family Foundation provide financial support to the National Council on Teacher Quality and The 74.